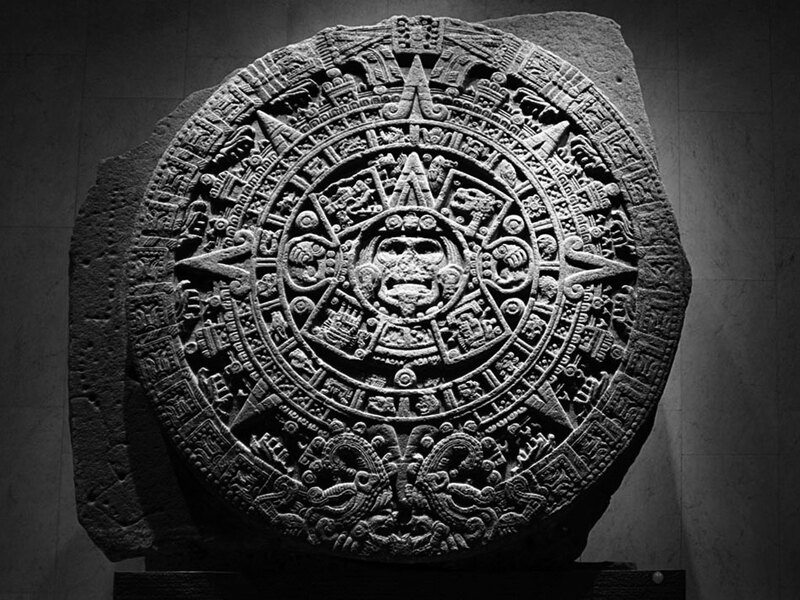 If the more pessimistic interpretations of the Mayan calendar are right, we have less than a year before all of us become molecular building blocks in the great circle of life again. How will it happen? Who knows! It could be any given horrifying scenario you can come up with, ranging from atmosphere-scorching solar storms and planetary geomagnetic reversal (categorize as Cosmic Judgment) to mass epidemics, killer virusses or WWIII (file under Immanent Justice). The fact is, your Life as you know it may get burnt, flooded, shot, hurricaned, tsunami-fucked, vaporized or meteor-struck to tiny, tiny bits – anywhere within the next 11 months & 3 weeks. Well, either that, or Man will boldly step forward into new Age of Civilization & Transformed Consciousness where all of us will enter into the Fifth World to reach awesome new levels of spiritual enlightenment. Makes us a bit undecided about going to Vegas to spend the dwindling rest of our lives drinking, snorting and fornicating with whatever won’t sue us. Tick, tock – tick, tock. Whatever the case may be, you can count on the professionally paranoid & conspiratorially gifted staff at POSTRmagazine to get to the bottom of this before you have to find out firsthand. For example, when a tsunami, hurricane or meteor storm hits your backyard. Or when you see your fingertips stretching out before you into infinity before your molecules get sucked into Sagittarius A* – the supermassive (that’s a word of science, by the way) black hole that gapes at the center of our galaxy. Sounds like a blast, wouldn’t you say? So what can you expect while you wait for the world to end along with your dreams of attaining profound existential fulfillment? First-off: a full report on which drugs are legal for you to procure and ingest while slaving away your last year on Planet Earth. Stay tuned for more Doom, Depression & Despair in POSTRmagazine #12: The Legal Drugs Issue!